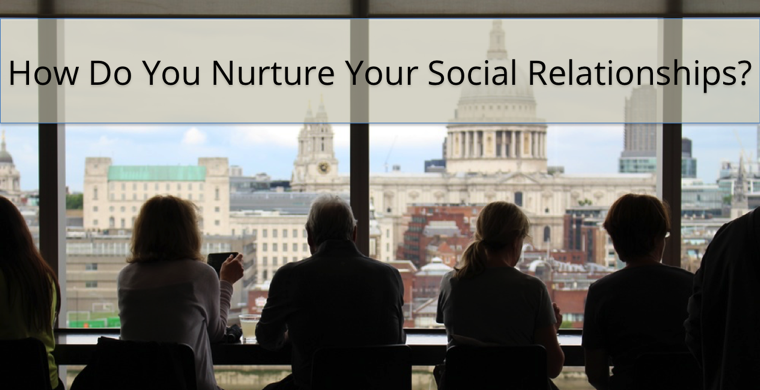 Social media nurturing has to be a requirement for all businesses. 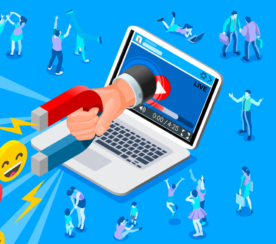 Businesses have turned social media automation into something that seems to resemble broadcast radio by posting large volumes of tweets and updates occurs fast with automation tools. Now imagine every business, regardless of their industry, doing the exact same thing. Automated postings have inundated social communities to a point that no one is listening anymore. Unfortunately, businesses have over-used social media automation tools to be the end of their marketing efforts. They are seeking efficient (not necessarily effective) ways of getting their message out as fast and as low cost as possible. Low cost to these businesses includes low to no labor. These quick tactics are not effective and do more harm than good. The question we have to ask ourselves is how effective is broadcasting your message in bulk? How effective is it to wait for people to come to you? With every business broadcasting to the social communities, how likely is it for someone to listen on the other end? It is more likely people have become numb to the broadcasts. The reliance on social media automation tools can put a business at risk of ruining their social community presence. First, we must recognize social media marketing to be about relationship marketing. If the audience doesn’t recognize there is a real human being behind the business account, they are not likely to stay engaged. Don’t make auto Direct Messages part of your social media strategy. Don’t treat scheduled messages as a one size fits all tactic. Don’t forget to analyze your scheduled messages for results. Don’t forget to read the articles you’re sharing for quality. Over-reliance on marketing automation tools will create the opposite effect over time. Consider balance between using marketing automation tools and your time. Nurturing your social media activities does not mean you need to drop your social media automation. Rather, nurturing is about augmenting the automation with real relationship marketing. “Engagement and nurturing go hand in hand. One of the most important factors in being nurturing on Twitter is how well you engage with your followers. Thank everyone who followed you, introduce yourself and let your followers know that you are interested in learning more about who they are and what they do. Respond to all of your messages that are not on auto-pilot,” says Audrey DeSisto, Founder and CEO of Digital Marketing Stream. 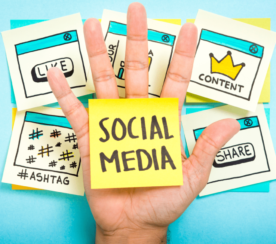 There are two simple points to understand when it comes to nurturing your social media marketing activities. Pick one quality post and nurture that post for one week and only one week. This one post will be more effective than 10 broadcasts from social automation. Nurturing is about bringing people in your conversations. Waiting for someone to maybe like or comment on your post is not going to do the trick. The difference is active social media marketing versus passive social media marketing. The nurturing process is about spending 15 minutes or less each day. Imagine putting on a reporter hat on and interviewing those who you have selected to bring into your conversation. 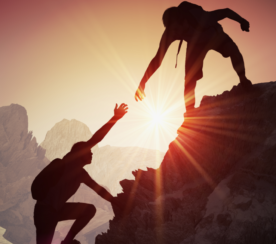 You are soliciting for their help, opinion, knowledge, experience, and expertise. You’ll see how much people would like to share their thoughts. This process does need you to keep asking questions to keep the conversation alive. “Nurturing begins when you meet socially, just as if you are meeting someone personally. When you have made a connection, and the connection has been supportive, thank them with a tweet. Check your notifications often for connections asking for a Retweet, it is very easy to miss important messages from fans.” added Audrey DeSisto for your Twitter relationship nurturing activities. Select a post you would like to nurture on a Monday. Add a comment to your post followed by a question and tag three people in your connected network. Tagging means you are going to add their First and Last name to the post. In LinkedIn, as you type a name, the people in your network will appear in a pop-up menu for easy selection. The people you have tagged will receive an email telling them to visit your post to include their comments. Come back to your nurtured post in 24 hours. If no one has responded, don’t give up. Add another comment and tag three different people. If you received a response, Like that person’s response and comment about what they said to keep the conversation going. In your next comment add three more people. You can like your own comments and your post to give it added exposure. The more activity on this post they more likely that others will see the post and join the conversation. Does it help to know your network? Yes. Start with people you know will engage with you. Later start tagging people who have a high volume of connections. Each time others comment on your post, their entire network sees their activity. This means they see your post too. This is how viral marketing gets going. Depending upon the success of a post you may decide to sponsor the post for even more exposure. Planning this up front will be helpful since you need to start this type of conversation from your company page. In LinkedIn, you may wish to start a post and nurture the conversation in the Pulse Post section. This opens the conversation up to the entire LinkedIn network. In Pulse Posts other people can see your posts without a connection to you. Since the Pulse Posts are open to the public, Google will see your activity, too. This improves your chances of showing in search results. Nurturing your social media activities is helpful to present your knowledge and authority on a subject to your network. I would recommend visiting the profiles of those who have commented on your posts. You can then Like their activities along with commenting on one of their posts without solicitation by them. You are now showing respect for their efforts and your relationship marketing is well underway. This has a much better possibility to become real revenue generating business! Featured Image: Christian Battaglia/Unsplash.com. Image derivative by Melih Oztalay. In-Page Image: Sonny Abesamis via Flickr. Disclosure: Melih Oztalay and SmartFinds Marketing do not have any affiliation with recommended products or services mentioned in this article.